April's fools day! How many pranks have you encountered today? I've seen a few on facebook but none was personally directed to me so far. Anyway, enjoy and have some good fun. 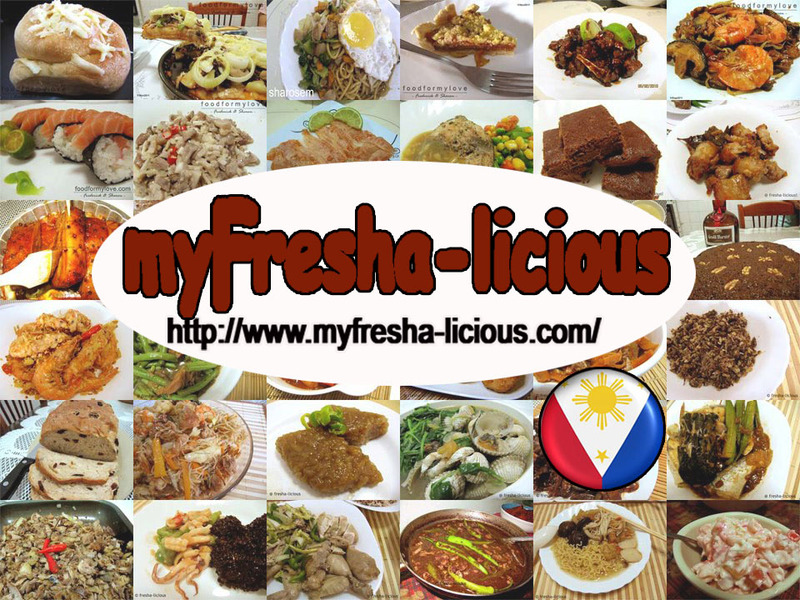 This week is my husband's birthday week so I decided to feature some of his favorite dishes which I often cook for him. One of which is fried calamari. And my five-spice version is his very favorite. There's nothing complicated in this recipe. 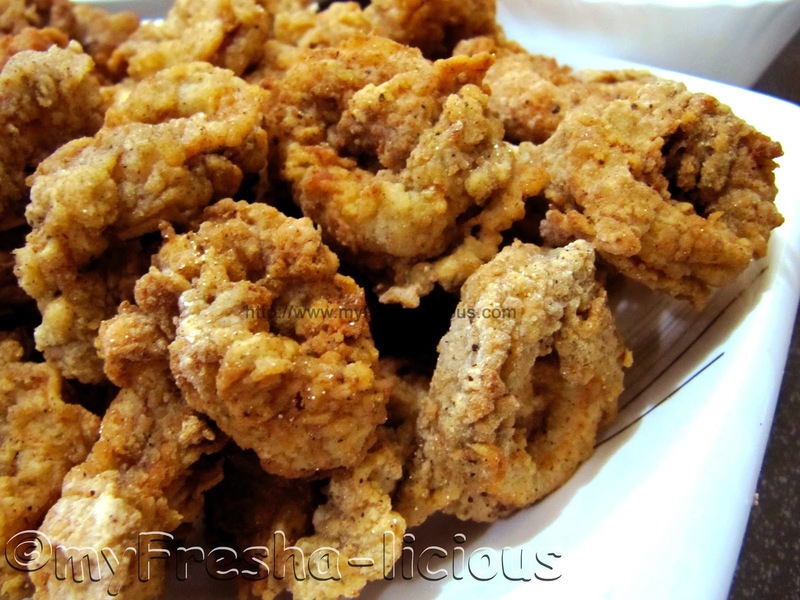 What I did was just tweaked my plain fried calamari recipe. I made a special bread coating, threw in spices, lots of them. Simple isn't it but I assure you that this dish is way more delicious than your usual fried Squid. 1. Place the sliced squid in a large mixing bowl. Sprinkle with salt and pepper. Mix thoroughly using your hands. Let sit for at least 30-60 minutes. 2. Mix all the ingredients for the coating then place in a separate container. Place the plain flour in another container. Beat the eggs and put it in another container. 3. Heat the cooking oil in a deep pan or small pot. 4. Dredge the squid with the flour. 5. Dip the squids in the beaten eggs. 6. Roll squids over the coating mix. 7. 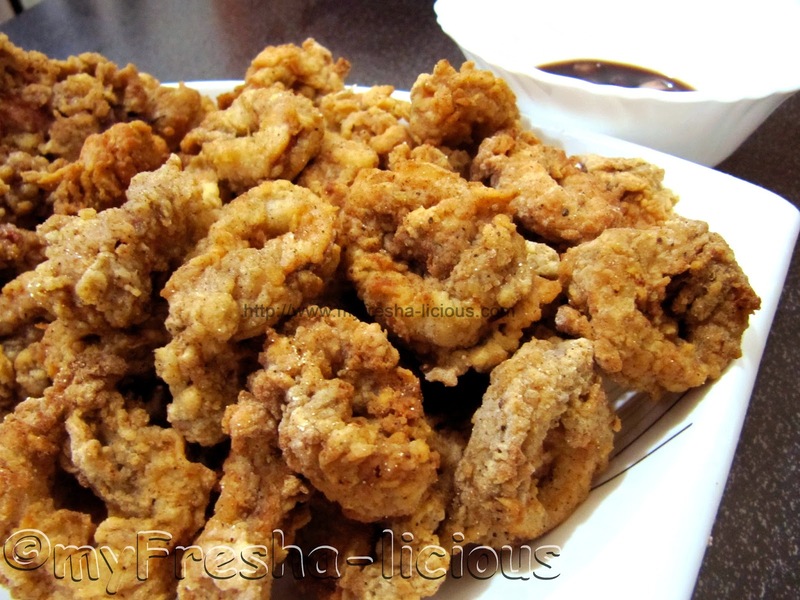 When the oil is hot, deep-fry the squid rings a few pieces at a time for about 2 mintues or until the coating turn brown. 8. Remove the fried squid and place on a plate lined with paper towels to drain the excess oil.